When I first glanced these shoes in Elle magazine I was blown away by how rock and roll yet chic these mesh booties by Jimmy Choo were. 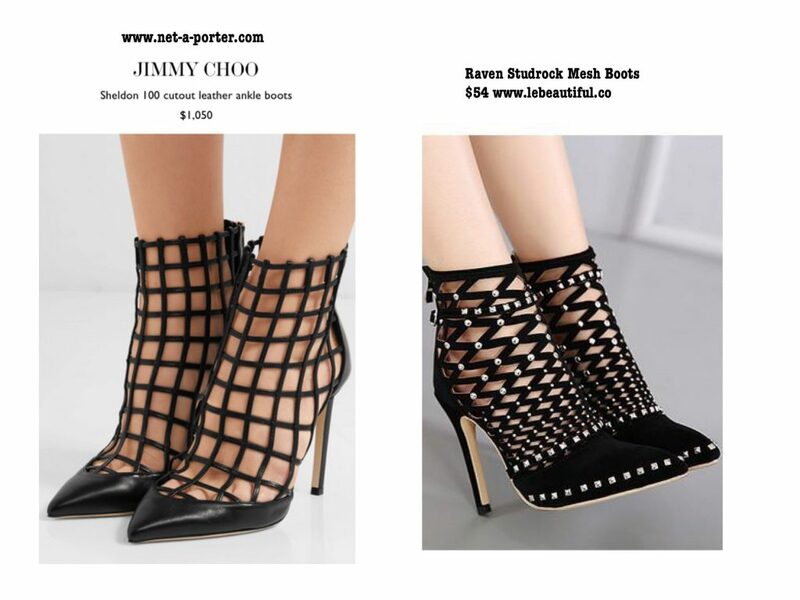 I quickly did a search and saw that several high end brands had made some version of the mesh (or caged) bootie heel as well as I have seen ultra fab women stomping down fifth avenue in the pump version. These gorgeous shoes will set you back over $1,000 so I have scoured the internet (this one broke out a little sweat as high end designers did not want this design to be reproduced!) and found you an alternative that costs a mere $54! You welcome! I know your wallet thanks me..